Jim Roth has been appointed as Oklahoma City University’s next law dean, OCU President Robert Henry announced today. Roth, a former Oklahoma County commissioner and Oklahoma Corporation commissioner, will begin his term as dean July 1. 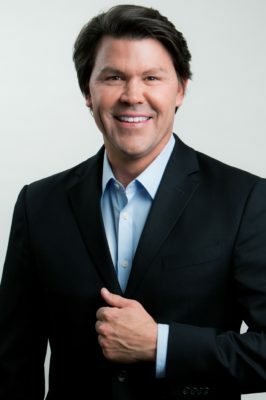 He currently serves as a director of the Oklahoma City-based Phillips Murrah law firm, where he provides leadership to the firm’s natural resources department and chairs the clean energy practice group. Jim was advanced by the Search Committee as a finalist, was approved by vote of the law school faculty, and was appointed by President Henry and President-Designate Martha Burger. He will begin his term as dean on July 1, 2018. President-Designate Martha Burger, who also begins her term with OCU July 1, said Roth’s background demonstrates dedicated public service and impressive legal practice. 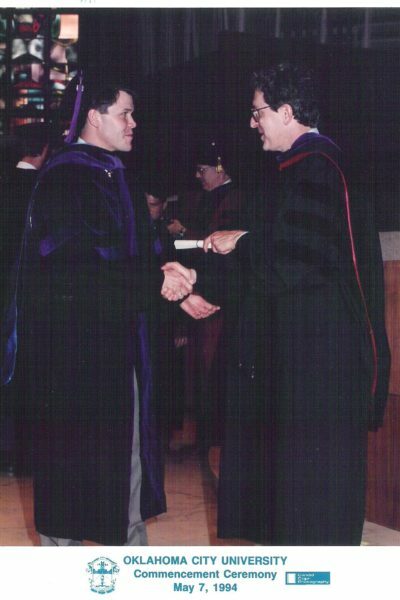 Jim Roth (left) accepts his OCU law degree from then dean Robert Henry in 1994.